I thought it was time to raise my head from the ocean of data I am crunching for the 2016 edition of our Review. Since we have much more–and much better–data this time around, the book itself will be even more data-driven than its predecessors. We will still have narrative profiles for each program/honors college under review, but it’s likely that within each narrative there will be a table that summarizes our findings. Class Sizes–Instead of reporting only the average class size for honors-only classes, we will show, in addition to honors-only class sizes, the average class sizes for mixed sections (classes with honors credit but including some or many non-honors students), and even the class sizes for honors contract sections (regular classes in which honors students do extra work for honors credit). What I can say at this point is that the total class size metric will be based on a combination of the above. This change alone could result is some significant changes in our ratings. Contract Sections–In the past, we have focused on regular honors sections, and we are somewhat tardy in giving some attention to a fairly widespread practice in honors education: contract sections. These are sometimes called honors options, honors enhancements, etc. As noted above, these sections generally feature an agreement between the honors student and instructor (as approved by honors staff) according to which the student does extra work to earn honors credit. In a few programs, honors contracts may account for more than 30% of the total honors class enrollment in a given term. The 2016 edition will present views on the relative value of these types of classes. There are many pros, as well as some cons. Stay tuned. 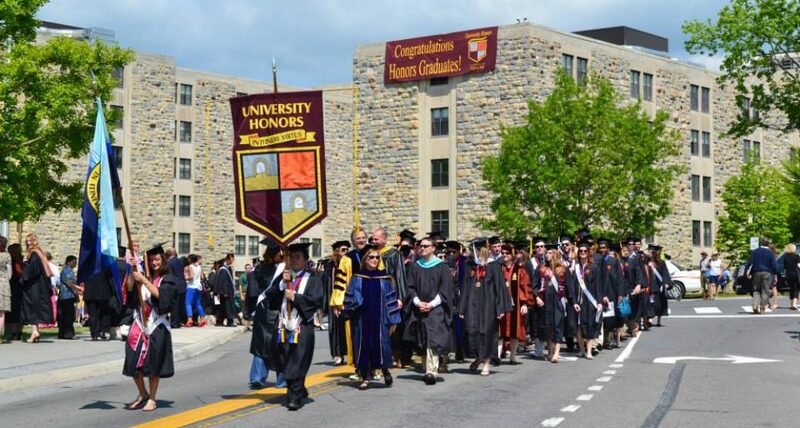 Course Offerings, by Academic Department–In the 2014 edition, we tried to give readers an idea of the general range and type of honors classes offered by each honors college or program. Although we did approximate estimates of honors classes by academic discipline, I thought that that aspect of the 2014 ratings was surely the most subjective. This time around, the number of classes by discipline will be strictly quantified so our readers can know how many honors sections are available, and in a ratio to total honors participants. Other “key” disciplines that we will quantify are biology; business and related disciplines; chemistry; computer science and related disciplines; economics; English; engineering; history; math; physics; political science; psychology; and anthropology/sociology. So, if you want to know how many honors chemistry sections a program offers, or how many of those relatively scarce honors polysci, econ, or physics sections are available, we will tell you how each program stacks up. This entry was posted in Honors News, Honors Research, Uncategorized and tagged best honors programs, honors classes, honors contract classes, honors education, types of honors classes by Honorsadmin. Bookmark the permalink.